Bitcoin and the blockchain technology behind it have been scrutinized as enablers of transnational and cyber crime, but could the blockchain and distributed ledger technology also be used as potential tools in the fight against corruption? A recent Transparency International paper identifies some of the links between bitcoin, the blockchain and corruption. The architecture of Bitcoin relies on “blocks”, which are collections of historical data. 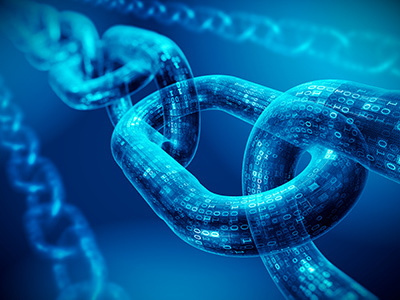 As a result it is possible to link one block to its previous state and create a chain of information and data points, hence the name blockchain. This type of technology is referred to as distributed ledger technology (DLT) as a block is a type of public ledger, and the term ‘DLT’ is often used interchangeably with blockchain, the most popular type of DLT. Bitcoin and digital currency transactions afford a greater level of anonymity than traditional transactions, with ownership recorded in the form of cryptographic keys rather than personally identifiable information. Furthermore, there is no existence of a central monitoring body. As such, there is potential for Bitcoin to be misused in criminal activities such as money laundering, cyber crime and tax evasion. The absence of a central authority means that bitcoin can be used to evade tax. Tax authorities are unlikely to be able to detect bitcoin-related income due to the level of anonymity the cryptocurrency allows, and the difficulty in tracing transactions back to individuals. It is important to note that while users can conduct transactions largely anonymously, that does not mean that their actions are not recorded. All Bitcoin transactions are recorded on the blockchain, and these records are freely available to inspect. Criminals can take steps to make their paths hard to follow, but ultimately, if the transactions occur via the blockchain, then they can be tracked. Blockchain provides a decentralised and efficient way to store data, and has the potential to address corruption problems. Voting processes, especially in certain societies, are often subject to corruption. Several projects are currently looking at using blockchain in the context of voting. Many international development organisations provide budget support or financing for specific projects to recipient countries. These payments are often vulnerable to corruption. Basing the platform on the blockchain can establish trust between the different partners as data is hosted in a decentralised manner and secured against subsequent alteration. Global supply chains involve a large number of transactions and a complex system of documentation (often paper-based) that can be manipulated and is vulnerable to corruption. Storing data on a blockchain can provide a greater level of transparency, reduce the potential for corruption and also increase efficiency. Smart contracts are contracts which are written in code instead of paper, incorporating the contract terms and conditions. Once these conditions are met and verified, the contract is automatically executed. A smart contract saved on the blockchain promotes transparency and limits the potential for contracts to be illegimitately altered. One potential application of smart contracts at a government level would be to potentially limit manipulation during a public procurement process. There are many challenges in using blockchain technology to reduce corruption. There is currently a lack of an appropriate legal and regulatory framework in which to operate, with many legal questions arising such as which jurisdiction applies to transactions conducted using the blockchain? While there is significant potential for using blockchain in the fight against corruption, it may still be a number of years before this practice becomes widely adopted. Nyman Gibson Miralis are experts in foreign bribery and corruption matters that involve multiple jurisdictional investigations, and we specialise in all aspects of Bitcoin and digital currency law. If you require assistance, contact one of our expert criminal defence lawyers.